Waterproof by design, the MotorScrubber Handy is ideal for use in kitchens, bathrooms, showers and more. 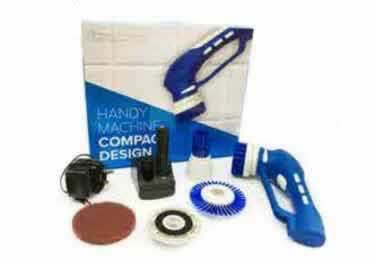 Compact and durable, it has all the power you need at your fingertips for an outstanding clean. Ergonomic design provides comfort and allows for tireless, effective cleaning. 3 models, a robust, heavy-duty tool for everyday use. Great for wall base, stair treads, entrances&hard to reach areas.